the Land of Folk Songs! Getting to Zhongshan Guangdong, China. This place is also known as "Xiangshan" in ancient Chinese, was renamed in honor of Sun Yat-sen who was regarded as the father of modern China. Zhongshan Guangdong, originally called Xiangshan in ancient Chinese, was renamed in honor of Sun Yat-sen, who was born in nearby Cuiheng in 1866. Sun Yat-sen is regarded as the father of modern China as he devoted himself to the overthrow of the feudal Qing Dynasty and foundation of a new democratic republic in China. Zhongshan is the land of folk songs. Xianshui Song and Gaotang Song, which have a history of over 300 years, are the most distinctive. Zhongshan's investing environment is very attractive. The city boasts of a total road mileage of 1,153 kilometers with a road network extending in all directions, mainly composed of national trunk roads, local trunk roads and Beijing-Zhuhai Expressway. The Zhongshan Park is well known for its picturesque landscape and spacious land for a long time and is ranked as one of the four-star parks of Shanghai. The direct transportation between Hong Kong and Zhongshan, China is through Ferry at Hong Kong China Ferry Terminal located at 33 Canton Road, Tsim Sha Tsui, Kowloon, Hong Kong and Zhongshan Port located at Yanjiang Road, Huoju Dev District, Zhongshan, Guangdong 510700 PRC. The HK - Zhongshan ferry is operated by Chu Kong Passenger Transport (CKS) Co., Ltd. Journey time is about 90 minutes @ HK$210 economy class. Departure time from Hong Kong is at 8:00am and 6:00pm. The Shangri-La Hotel Zhongshan is a fully functioning Zhongshan hotel ideal for business and casual visitors to the city of Zhongshan. The location in the eastern district is in close proximity to many local business centers. Places of interest in the area include the Sun Wen Xi Road Pedestrian Street, the Study Tower, Renshan Celestial Palace and the Purple Horse Hill Park. The Guangzhou Baiyun Airport is 2 hours from the Shangri-La Hotel Zhongshan. Local bus and ferry services is also available nearby. 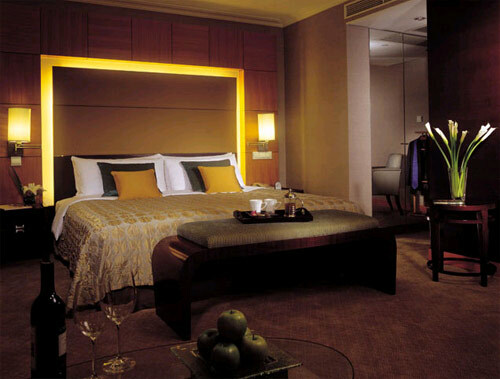 There are 463 fully furnished air conditioned rooms in the Shangri-La Hotel Zhongshan. Each room comes with free broadband Internet access and a modern decor. In room TV and radio gives the guest no shortage of entertainment options during their stay. The attentive staff is around to answer any question a guest may have at all times of the day. Crowne Plaza Hotel Xiaolan Zhongshan- The central Zhongshan location of the Crowne Plaza Hotel Xiaolan Zhongshan provides its guests with a slew of local sightseeing and travel options. The Shuangmei Bridge is 3 miles from the hotel. Other popular local attractions include the nearby Shunjuhe Ancestral Temple, Xiaolan Art Exhibition and Xialoan Folk-Custom Museum. The local international airport is 68 miles from the Crowne Plaza Hotel Xiaolan Zhongshan. There are 316 modern decorated, fully furnished guest rooms in the hotel. Each one is ideally furnished with a mini bar, refrigerator and coffee maker. High speed Internet access is provided in room, as is a complimentary newspaper. Provide bathrooms are provided for guest comfort. 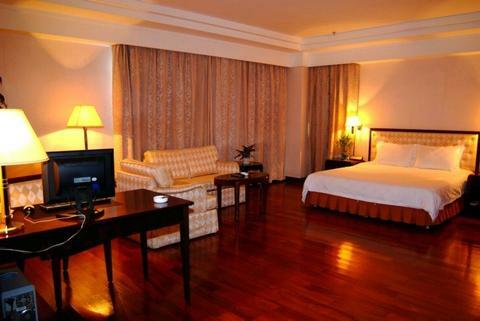 The Crowne Plaza Hotel Xiaolan Zhongshan features satellite TV and DVD players also. Fuhua Hotel Zhongshan - Conveniently located next to the Qijiang River, the Fuhua Hotel Zhongshan offers guests on business and casual travel access to many entertainment and shopping choices. The hotel is located on Fuhua Avenue and many transportation options are available including bus and car service. The Qijiang Park and local shopping malls are popular travel destinations when in Zhongshan. The local airport is in a nearby location to the Fuhua Hotel Zhongshan. The guest rooms are fully furnished and contain modern decor styles. TVs and phones are in every room, whether a guest chooses to go with standard, deluxe or suite variations. Staff members clean the rooms daily and wake up service is available through the front desk. A desk is provided in each room at the Fuhua Hotel Zhongshan, for when work absolutely must be completed. Sunshine Business Hotel Zhongshan (2 Shenghua Road , West District, Xiqu, Zhongshan, China) - Located in the influential western district of town, the Sunshine Business Hotel Zhongshan provides local access to many of the attractions and sights of Zhongshan. This Zhongshan hotel is a 4 star rated business hotel and guests will find that it offers immediate access to the city's commercial centers. Public transportation options such as the bus and train in proximity to the Sunshine Business Hotel Zhongshan. 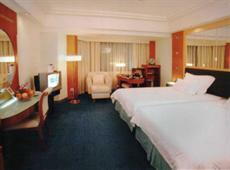 Rooms are fully furnished, clean, and air conditioned for guests at the Sunshine Business Hotel Zhongshan. The front desk provides room service and wake up calls. Rooms can also be upgraded from the standard rooms to deluxe all the way up to suites. A TV and radio are provided in room as is a phone with international direct dial and direct dial local services. A desk is provided in each room for work. 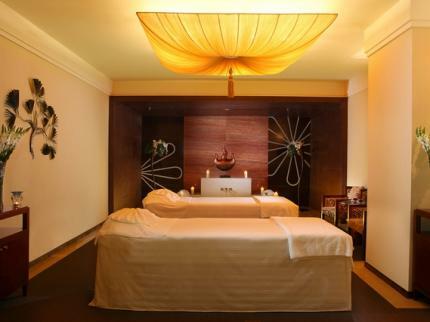 Fuzhou Hotel Zhongshan (21 Fuhua Road, Shiqi District, Xiqu, Zhongshan, China) - The Fuzhou Hotel Zhongshan offers the guest access to many of the local attractions of Zhongzhan. The hotel is situated near the western district in the Guangdong province. The location on Fuhua Road offers convenient travel to and from the hotel. Transportation options available in the vicinity of the Fuzhou Hotel Zhongshan include an airport and local bus station. 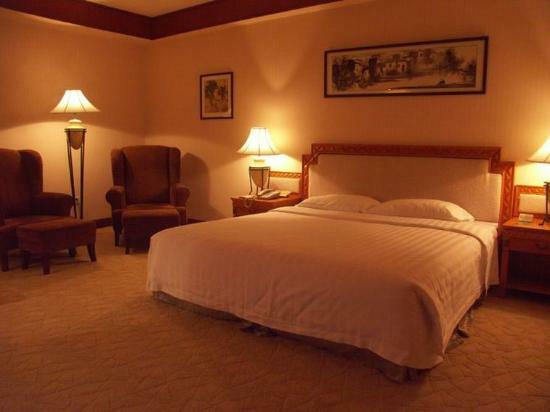 The Fuzhou Hotel Zhongshan contains a number of guest rooms available in many upgrade selections. All rooms are fully furnished and feature a modern decor pattern. A TV is available in each room with satellite programming. A phone and safe deposit box are also included in each room. Guests may refer to the front desk at any time of the day for hotel information or wake up call servicing.